Figure 1. 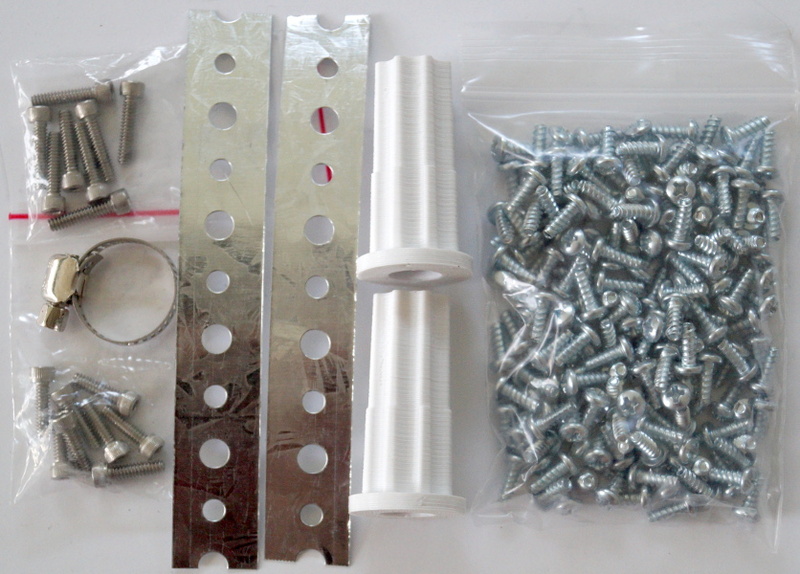 FASTENER-PACK: Includes all of the screws and clamps needed to build a wheel chair. We have consolidated all of the hardware and fasteners into a single package, to make purchasing easier and cheaper. For a list of parts that are included in this package see the table below. We've provided links to other sources if you prefer to purchase the parts directly, or if you loose parts or need more. #6-32 x 1/2" Machine Screw #6-32 x1/2" Socket head machine screw for hub. Black oxide is most affordable. #6-32 x 5/8" Screw #6-32 x5/8" Socket head machine screw for hub. Conduit Strap Pipe, Tube & Conduit Hold-Down Strap 1" EMT.